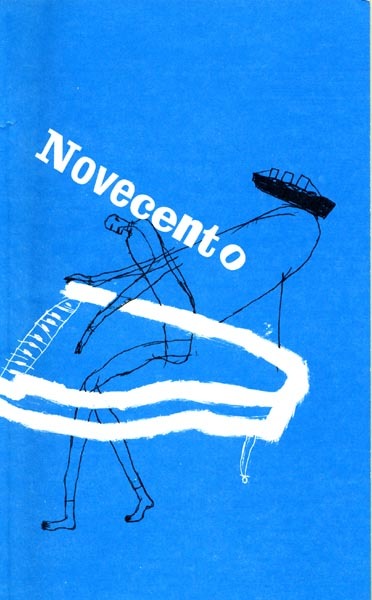 NOVECENTO is about a man, the title character, who is born on a ship and becomes a famous piano player with the on-board band. All is well until the Second World War begins. The Great Virginian becomes a floating hospital. After the war, the ship is in such terrible condition that the decision is made to bomb it in the middle of the ocean. Novecento never leaves the ship. 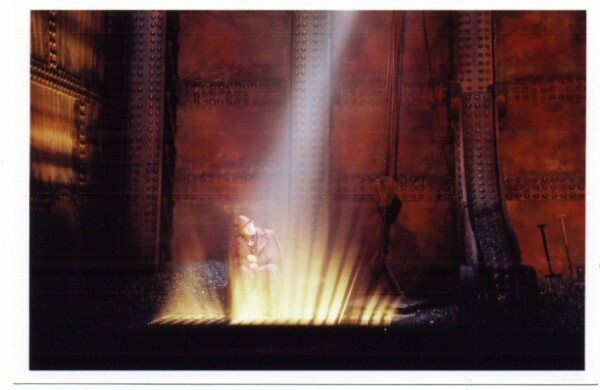 The director François Girard decided to set the entire production in the basement of the ship, near the machine room, where the last scene of the play actually occurs. 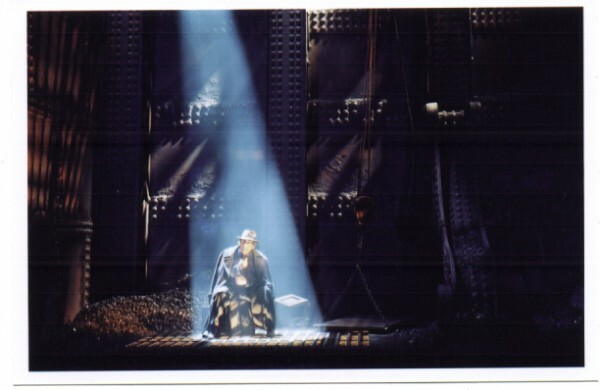 For the entire play, which is approximately 90 minutes long, the actor is sitting on a box of TNT. The full meaning of this is revealed only at the end, when the ship is about to explode. There are no set changes and no other actors, just one man telling us a story in a very intimate fashion. Only the lighting and the sound change in a very subtle, slow and hypnotic manner, sometimes to underline an emotional state of the character, sometimes to represent a place or a time mentioned in the monologue. For NOVECENTO, the starting point was quite simple. On our first meeting François was sure about one thing. He wanted every sound heard in NOVECENTO to be made with a piano. The storm sounds, the boat sounds, the rain sounds, the ocean, everything! First, it was necessary to create a library of sounds that I could use as a source of raw materiel. François and I spent about 12 hours in a studio of the Canadian Broadcasting Company, with a grand piano and of a very open-minded sound engineer… Under, over, inside, François must have banged (gently), brushed, plucked, stroked, tapped, struck, pinched every inch of the piano. We searched for rhythms, textures, odd sounds. We basically had a great time. We recorded every minute not knowing what this material would become. 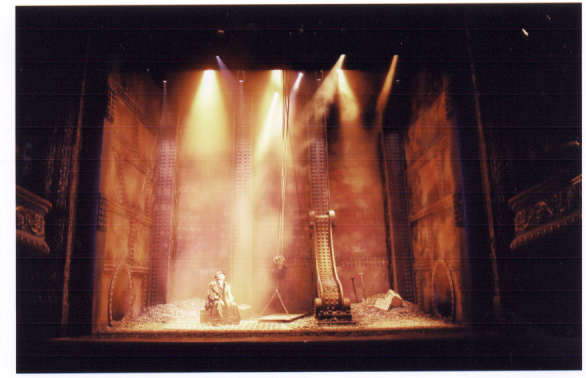 The machine room sound was played as soon as the spectators entered the theatre and it lasted almost through the entire show. In a very low, subtle way, it could be heard as a continuous rumble representing the ship moving through the ocean. Most of this sound was amplified by the sub frequency speakers. When positioning these speakers, we would try to place them in a way that the vibrations generated by the sound would seem to be transmitted to the actual structure of the Quat’sous Theatre and the subsequent theatres we toured in. 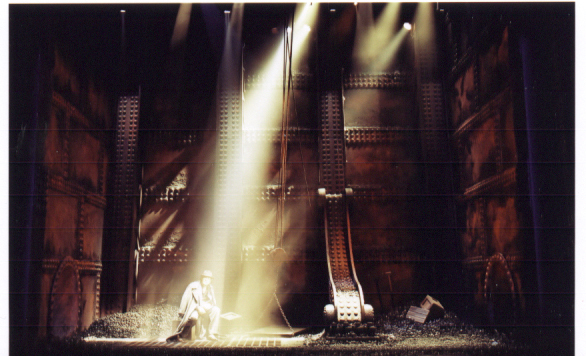 For the audience, it was as if a machine room was actually in the theatre.